South America is the fourth largest continent in the world. It borders the Atlantic to the east and the Pacific to the west. This vast continent has thirteen countries; all except four that do not have Spanish as their first language. South America has a total area of roughly 7,000,000 square miles. The highest point above sea level is Mount Aconcagua located in Argentina. Its highest peak is measured at 22,831 feet or 6959 meters. The lowest point below sea level is also found in Argentina, the Valdes Peninsula, and measure 131 feet or 40 meters. Brazil. 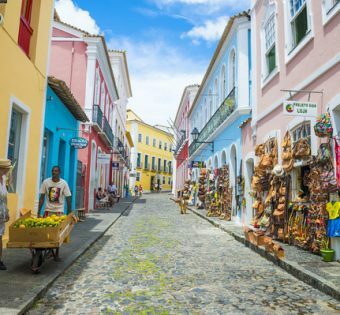 Brazil is the largest country in South America and Portuguese is the primary language spoken. 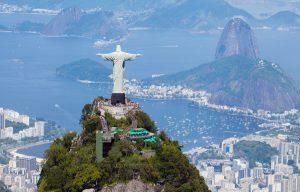 It is known for the Amazon River, the longest in the world, and Christ the Redeemer statue overlooking Rio de Janeiro. Brazil also has many beautiful beaches and plenty of night spots to party. This country produced the best soccer players in the world, and the famous Pele is Brazilian. Argentina. The second largest country in South America and the primary language is Spanish. Argentina is another beautiful country to visit. Because of its geographical location, you can visit the Glaciers National Park to see the most natural wonders in the world. Or, remain in the city of Buenos Aires to be amazed by the colorful European architecture, gourmet cuisine, and sizzling nightlife. If you want to go whale watching, Puerto Madryn is a breeding ground for these giant creatures. Uruguay. Uruguay is another coastal country in South America with beautiful beaches. 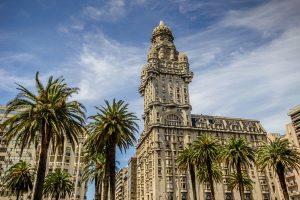 The biggest city, Montevideo, is filled with beautiful European architecture. Other major tourist attractions include Rambla, Puerta de la Ciudadela, and Teatro Solis. You will see the famous hand on the beach of Punta del Este. Another famous beach is the Cabo Polonia where you can enjoy a cold beverage or watch the sunset. Paraguay and Bolivia. Paraguay and Bolivia are the only two inland countries of South America. Both may not have beaches, but there are other wonders these countries have to offer its tourists like the beautiful Iguazu Falls or the Eco Reserva Mbatovi for nature lovers in Paraguay. 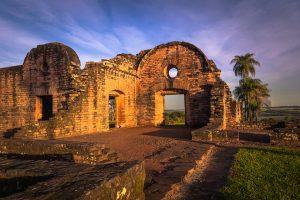 You can also visit the ruins of Jesuit colonies or the Itaipu Dam, one of the largest in the world. In Bolivia, you will see unusual landscapes in the Eduardo Avaroa Andean Fauna National Reserve. On Ash Wednesday, the city of Oruro has the Carnival de Oruro, the most folkloric and cultural event in all of South America. Venezuela, Colombia, Ecuador, and Peru. These four countries are the most northern countries of South America, and all official languages are Spanish. All offers pristine beaches and amazing waterfalls. Also, adventurous individuals will have a lot of walking to do on hiking across different national parks in each country. 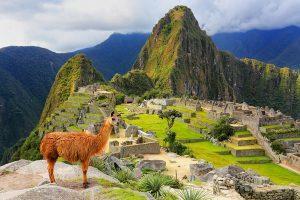 If Machu Picchu is on your bucket list, Peru is the place to go. Columbia also has historical sites like the one in San Agustin where you can see over 500 monoliths, statues, petroglyphs, and sarcophagi. Ecuador offers the Galapagos Islands that are home to some unique wildlife not found anywhere else in the world. Guyana, Suriname, and French Guiana. Guyana was colonized by the British, and it is the only English speaking country in South America. The most visited place in Guyana is Georgetown, its capital. You will find many historical sites in Georgetown. 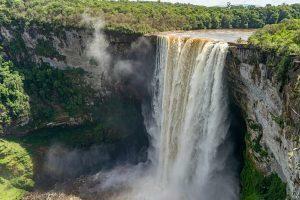 Another tourist attraction is the Kaieteur Falls which is one of the tallest waterfalls in the world. Suriname, a Dutch colony, is shown in its architecture across the country. Paramaribo is the biggest city and the capital. You will find plenty to nature reserves in Suriname. French Guiana is the third country in South America as Spanish not being its primary language. As stated in its name, French is its primary language. In this country, you hike in it rainforest and if lucky may see a sloth or on the beach you may come across a sea turtle or its babies rushing toward the Atlantic. 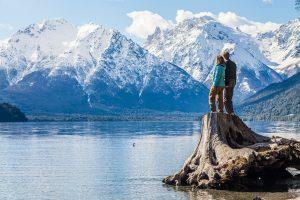 A South America destination will enlighten you with a whole new way of life and adventures. Be one of many to experience colors, fun, and creatures in their natural habitat.